The major Streetscape project transforming downtown West Palm Beach is taking shape. 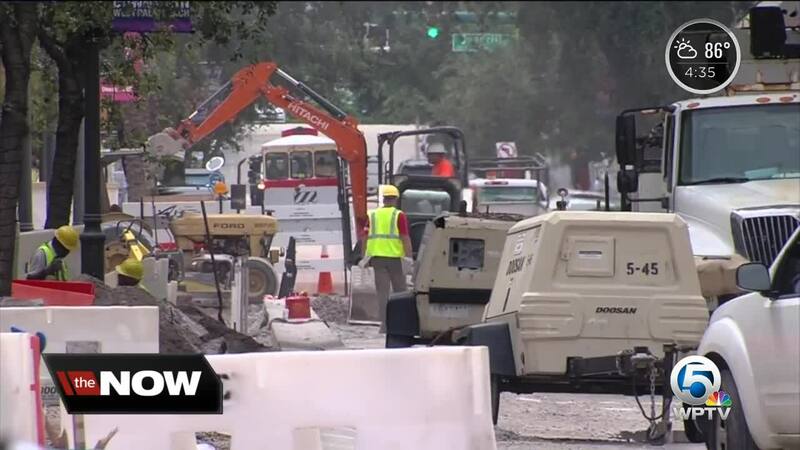 The goal is to improve the quality of life for businesses, residents, and visitors, but the design of Clematis Street is raising some eyebrows. 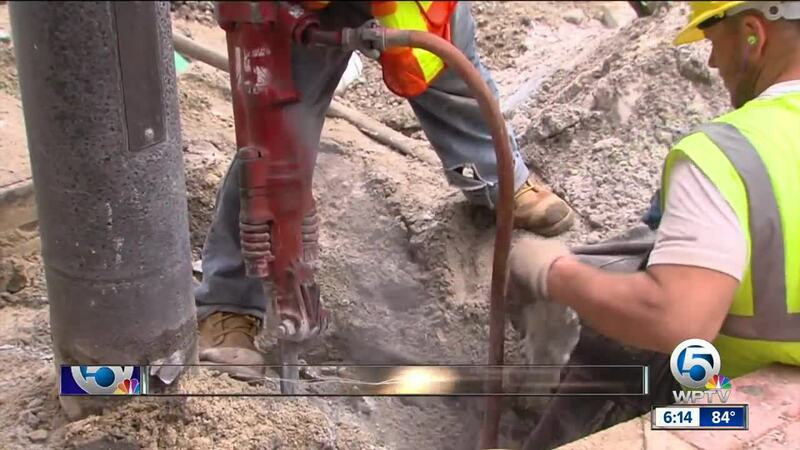 Inside the Dig Zone, the sound of jackhammers is being called the sweet sound of progress. The 300 block of Clematis Street is under construction and being transformed. "We do see it being a great thing in the future and that's what keeps us optimistic in a positive sense," said Krystal Campi, general manager at Fitness Hub. Fitness Hub has a front-row view to the digging. On Monday, Campi said she celebrated after seeing concrete being poured, but had a different reaction to the size of the street. “I see it being a one way, I don’t see, with what we’re seeing today, how it can be a two way,” Campi said. Clematis is now drawing complaints from several businesses, saying the road looks small and the lanes too narrow. “They’re too small...there will be an accident more if they drive they way they drove before,” said Kong Phanly, manager at Sushi Yama. Part of the plan is narrowing the lanes to slow down traffic, but the assistant city administrator says they’re still standard width and large enough for two-way traffic, which includes buses, trolleys and fire trucks. “We ended up having numerous meetings with the businesses and they were all involved choosing what the design was, and it hasn’t changed,” said Scott Kelly, outside city hall. Part of that design is creating a curbless street, widening the sidewalk for more walking and dining space and reducing the number of parking spaces. After taking a financial hit during construction, a lot of businesses are now just hoping the final product brings back the crowds. “I know sometimes it’s hard to imagine when you see it until it’s done, but it’s a standard width lane,” Kelly said. The assistant city manager also said the new design will be much better than before. The project is on schedule and set to be complete in October.